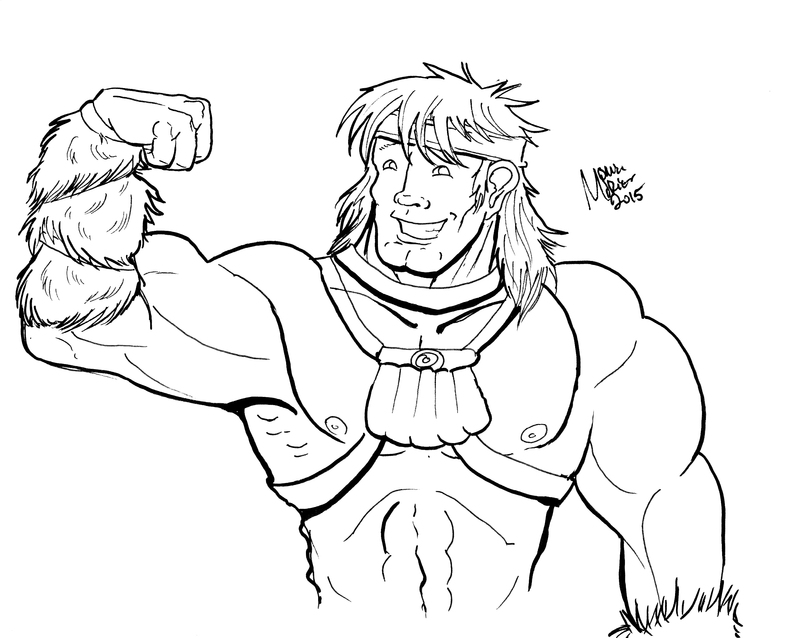 Day 2 of the Inktober Challenge, and here is an attempt at Quince the Barbarian. Big Muscley men are very strange to draw because their proportions always seem, just WRONG. I even did this with a photo-reference and I remember looking at all the photos of muscley men and thinking they just look like cartoons, and made of clay. Oh well. Minimal lines, since I intend to colour this. See you all tomorrow.